We passionately think the inspiring cinema experience is open to all. 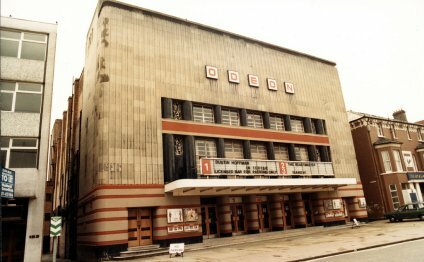 Whenever you arrived at see us at ODEON Streatham, we’ll do-all we can to cause you to feel welcome and comfortable – if there’s anything you need, just ask one of the cinema hosts. Our cinema has complete disabled accessibility, except for displays 1, 2, 3 and 8, so you can enjoy our great facilities – from scrumptious snacks to delicious drinks at our retail really stands. While you move through the cinema you will find completely accessible male and female commodes on the ground flooring. Our obtainable screens have actually a wheelchair areas in each. As most are fitted with stadium-style seating, the wheelchair rooms are generally close to the front associated with the screen. All wheelchair rooms are combined with a companion seat. CEA Card: included in an over-all cinema business initiative, our cinemas accept the CEA Card which entitles the owner to a single no-cost admission due to their carer. For more information please see (opens in a brand new screen). Text phone people can dial 1560 609 9am - 7pm Friday, Saturday and Wednesday, 9am - 6pm Monday, Tuesday and Thursday and 10am - 5pm on a Sunday for bookings and information. For those who have further enquiries kindly call our obtainable Helpline between 9am - 7pm Friday, Saturday and Wednesday, 9am - 6pm Monday, Tuesday and Thursday and 10am - 5pm on a Sunday on 0800 138 3315 or via Type Talk on 1800 1 0808 1560 609. The BFI London IMAX is an IMAX cinema in the South Bank district of London, England, just north of Waterloo Station. It is operated by the British Film Institute. LIFECYCLE Fundraising is part of a UK registered charity which provides funding for charitable projects to improve the lives of children worldwide. This is achieved through a combination of fundraising events, corporate sponsorship and individual donations.